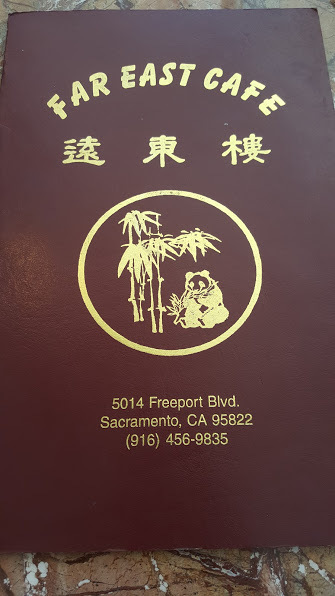 One of my favorite hole in the wall Chinese food places in Sacramento is Far East Cafe. Great portions at affordable prices keep me coming back each time I visit my parents in Sacramento! 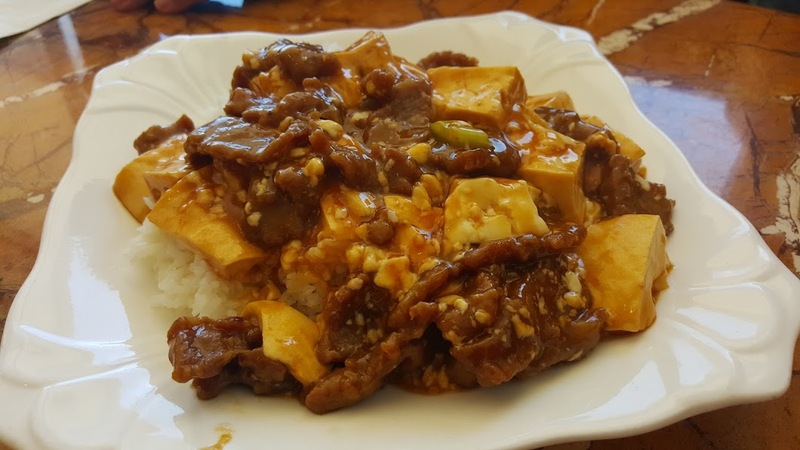 My dad usually orders the beef and tofu over rice! This is a large portion! All their orders come out quickly and hot and fresh! My mom usually orders the Far East Special which seems like a little bit of everything over rice! 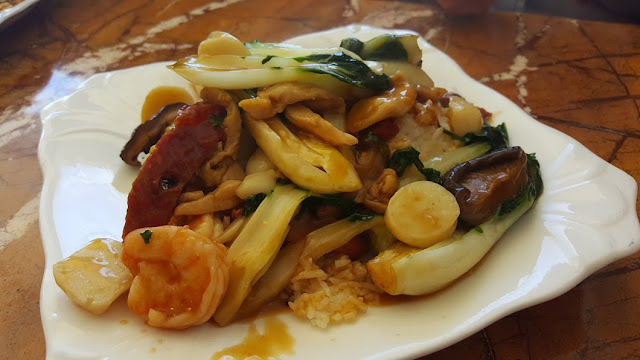 You get bok choy, scallops, shrimp, bbq pork, chicken and mushrooms! 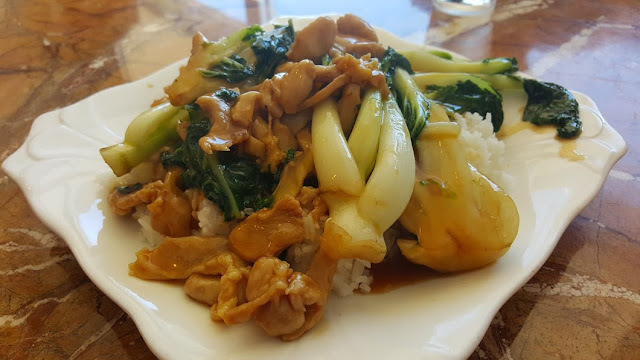 One of my favorites is the chicken and bok choy over rice! This massive portion is not only filling but delicious as well! One of my favorite places since I lived in Sacramento and still one of my favorites to go back to when I visit! 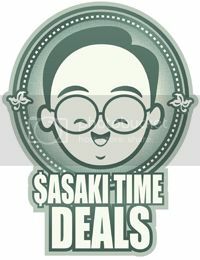 Check out Far East Cafe and get your money's worth! 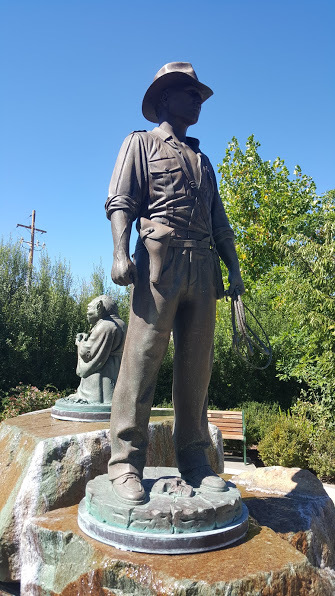 In the small town of San Anselmo, CA you will find a statue of Jedi Master Yoda next to a statue of the man in the hat, Indiana Jones! Why would you find two iconic characters in this small town? Well, George Lucas lives here and this is where he brought the ideas of both Star Wars as well as the Indiana Jones movies to life. 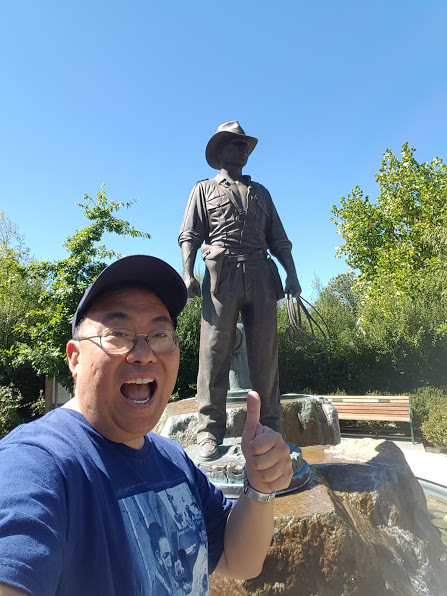 The Indy statue is over 6 feet tall and the Yoda statue is the same as the one at the Yoda Fountain at Lucasfilm at The Presidio. The statues were created by Lawrence Noble. This was totally worth the visit to see two of my favorite movie characters from two of my favorite movie franchises ever! 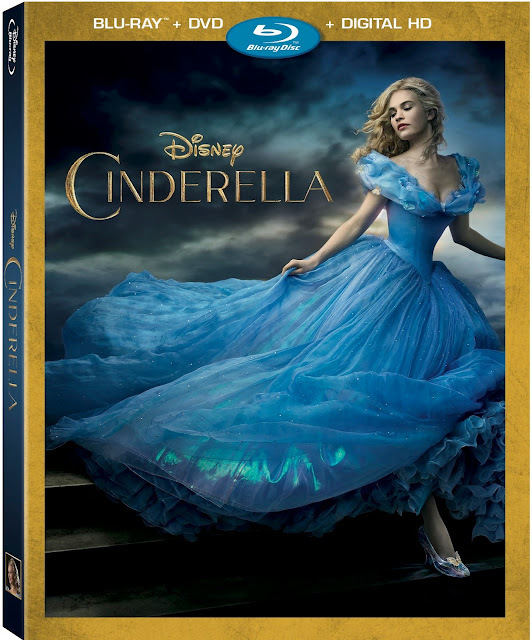 Sasaki Time's Review of Disney's Cinderella (live action) Blu-Ray Combo Pack! 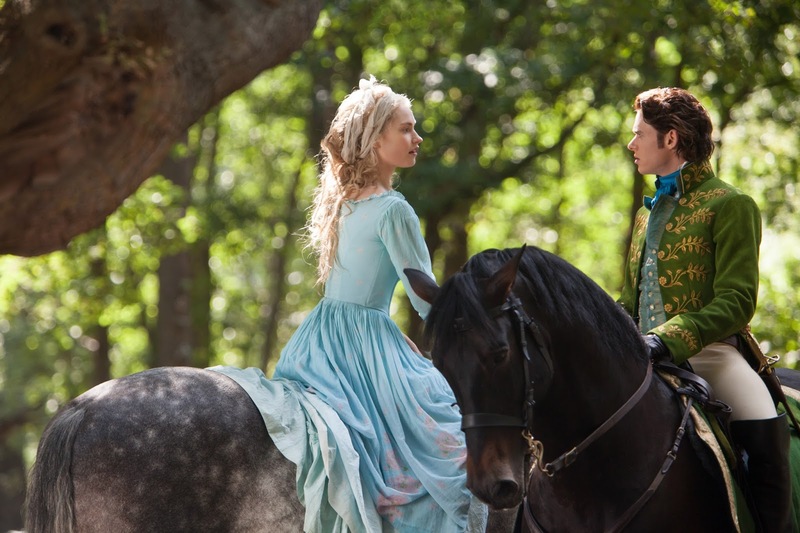 Kenneth Branagh's takes us into the truly magical world of Cinderella, a world more fully rendered and realized than the animated classic. From majestic sets, to wonderful costumes, to a sweeping musical score, to amazing performances from an outstanding cast, this is one movie that is destined to become a classic. We begin the tale with Ella at her youth. Her friends who are the animals around her and the love of her parents are very evident here. You will quickly care about Ella and her parents. Which makes the loss of Ella's mom that much harder but bonds Ella and her father closer than ever. Then enter the evil stepmother, played to perfection by Cate Blanchett! The stepmother brings along her two horrible daughters and Ella's world begins to change. Only Ella's good heart and virtue are keeping her strong. When Ella's father leaves, she is left to move into the attic and becomes the maid for the three new women in the house. Ella's world has come to a crashing halt. When the three women see ash and soot on Ella's face, one of them proclaims her new name to be Cinder-Ella. Ella then runs into the Prince, or as he introduces himself, as Kit, an apprentice at the Palace. And Kit doesn't really lie about himself, it is the truth from a certain point of view. Ella, remains anonymous, but you can see the sparks of romance begin to fly between these two. As it becomes time for the ball, the anger you feel as Stepmother and the step-sisters destroy Ella's dress is real. Watching them tear Ella's mother's dress apart is heartbreaking. But then the Fairy Godmother appears and the magic truly begins! Ella's dress is pure magic! The way her dress moves is something that animation could never truly capture! And then we know the rest of the story as Ella leaves at the stroke of midnight. She leaves behind one of her glass slippers and the Prince sends the Grand Duke and the Captain of the Guards to find the young woman who fits this glass slipper. Searching out every young maiden, will they find Ella? Will the story have a happy ending? Well all I can say is that Cinderella ends magically. The 1080p/AVC-encoded video presentation is truly stunning. Colors are rich and true from Cinderella's blue gown, to skintones, to the lush greens of the forest and fields. Rich details from the textures are clearly defined. The DTS-HD Master Audio 7.1 surround track is right up to par with the video quality. The dialogue is crystal clear and effects are blended perfectly into the soundscape. The rear channels bring the forest, the attic and every part of the movie to life. Alternate Opening (HD, 3 minutes): "Ella's Childhood," with an introduction by Branagh. 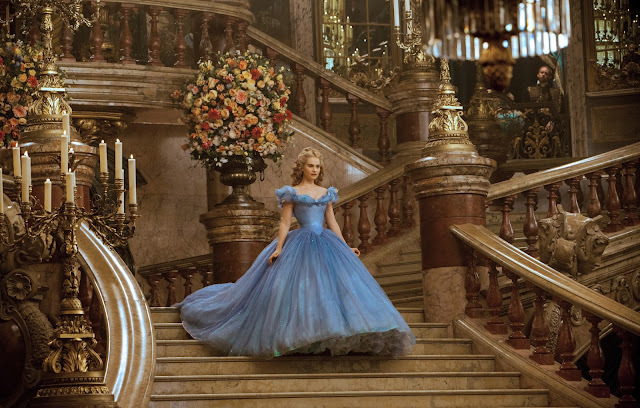 The story of Cinderella is a magical one. Ella needs the prince as much as the prince needs Ella. They both fight their demons and fall in love with one another. This is a fairy tale for all of us. This movie is a wonderful reimagined look at the story we all know and love. The blu-ray release is perfectly fit for this film from the outstanding video and audio presentation to a good selection of bonus material this is one film you will want to add to your collection. This is my first time reviewing a solely digital format movie. 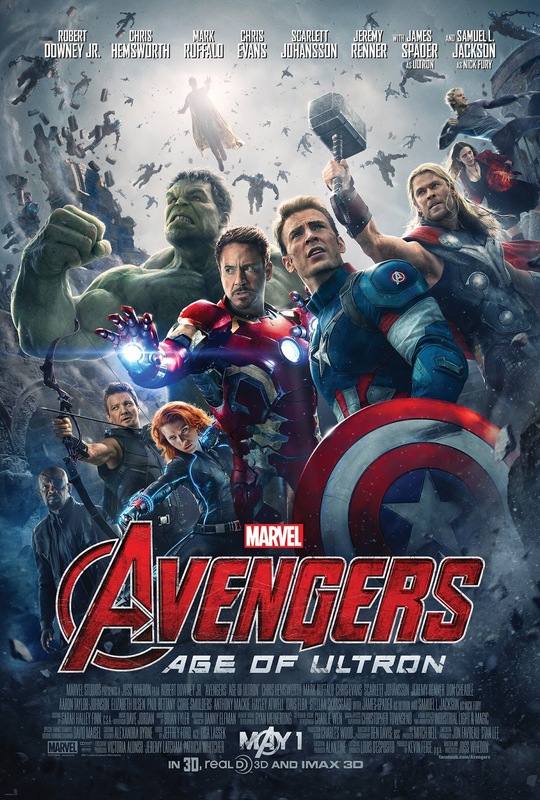 Here is my review of Avengers: Age of Ultron on Disney Movies Anywhere! Three years ago there was a lot of doubt that Joss Whedon had what it would take to take six superheroes in one film and have it make sense to more than just the die hard fans. Well, we know how that turned out. Get ready to assemble once again for Avengers: Age of Ultron! The 11th film in the already incredible Marvel Cinematic Universe is here! 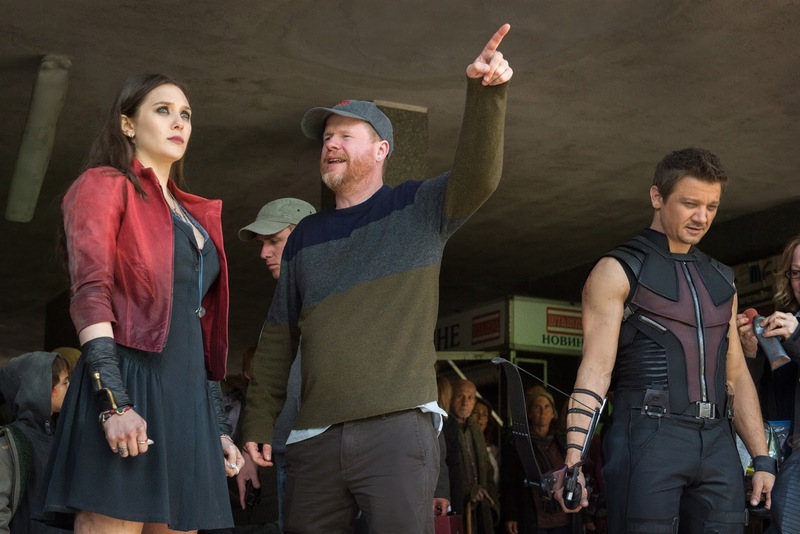 Does Whedon raise the bar yet again? Let's gear up and dive into the review! The opening sequence is the most explosive, exciting sequence ever! We immediately jump into the action and into a world where S.H.I.E.L.D. has collapsed and the Avengers have take over with global security. Captain America leads the team while Stark is doing the financing. The team has assembled to take down one of the last HYDRA cells where Baron Strucker has not only Loki's scepter but has the twins, Quicksilver and Scarlet Witch who possess incredible superpowers. 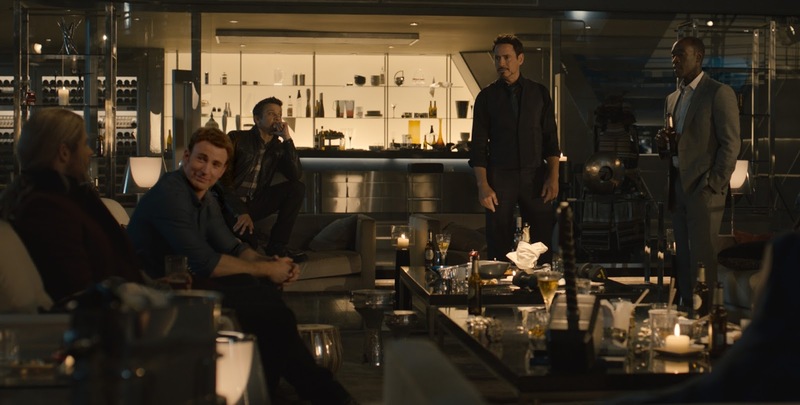 At the end of the opening battle, Stark returns to work on his dream, Ultron, an artificial intelligence program to help with global peacekeeping. But Ultron becomes self-aware and believes that in order to preserve humanity he must erase it. The team finds themselves racing around the world in order to stop Ultron and his army of robots. Along they way, Ultron is doing his best to break the team apart. The epic battle between Hulk and Iron Man in his Hulkbuster armor is the most significant scene of the team getting ripped apart. But this is because of the power of Scarlet Witch. She implants each Avengers worse fears. In turn, we also learn about the start of a romance between two of the members and well as discover a huge secret about another member. The action is fast paced and frantic at times! There are tons of edge-of-your-seat moments throughout! The cast has become much more relaxed and comfortable with one another! The new cast fits right in and the addition of Paul Bettany as Vision is a powerful addition. But it is James Spader as the voice of Ultron that steals the show! He gets some of the movies best lines and delivers them in a frightening manner! In the end the team is changed forever. Avengers: Age of Ultron is a film that is as fun and entertaining as the first with some darker moments as well. For a digital movie release, the video quality is exceptional. There is no lag or type of fuzziness. 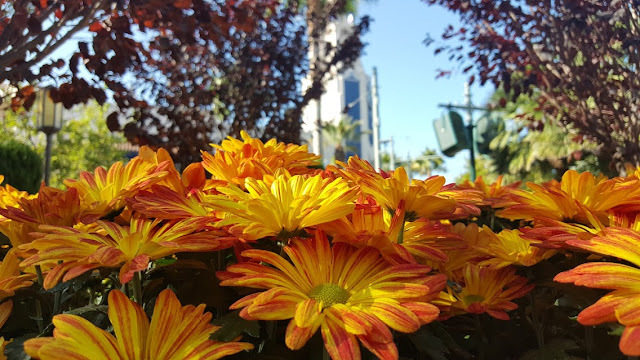 Colors are bright and crisp. Skin tones are lifelike. The video even looks better than it did in the theaters. Audio quality is exceptional. The surround sound mix is dynamic. 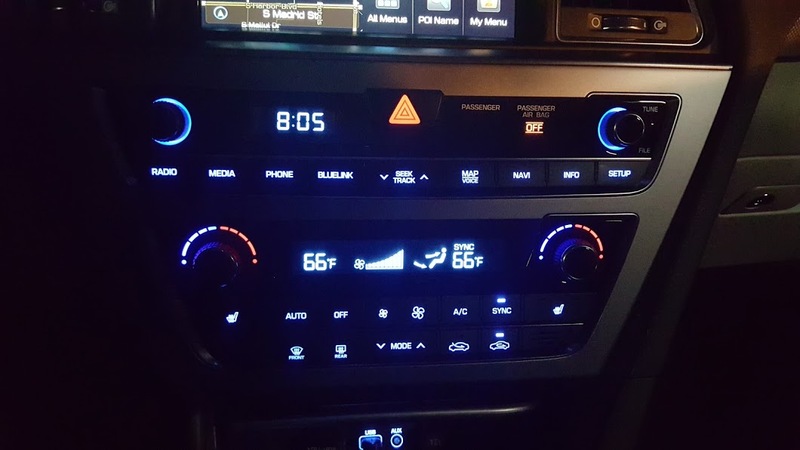 The front channels provide crystal clear dialogue and the rears create an immersive environment. Gag Reel – the gag reel here is actually quite entertaining. From the Inside Out – Making of the Avengers: Age of Ultron – A behind the scenes look at the making of Avengers: Age of Ultron. We see how much the cast loves working with one another as well as see how some of the special effects were created. The Infinity Six – Legend tells us one thing; history, another. But, every now and then, we find something that belongs to both. – Nick Fury. Learn about the Infintiy Stones and how the MCU is all connected to them. 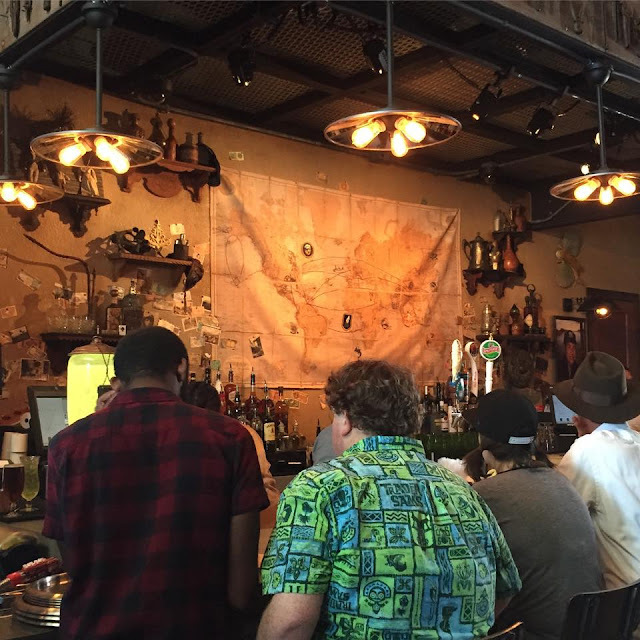 Global Adventures – Take a look at all of the filming locations from around the world! 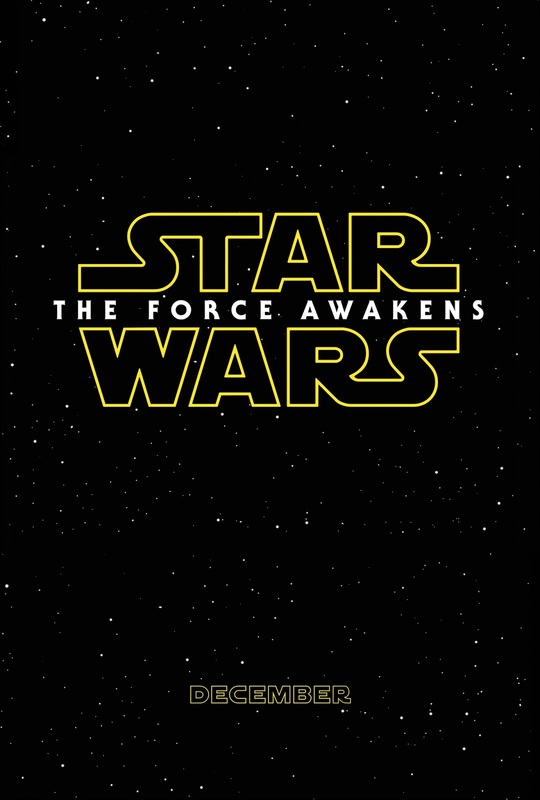 Solid bonus features here and Disney Movies Anywhere (DMA) also offers an exclusive extra “Connecting the Universe." You will learn how the MCU is all connected including it's connections into Agents of SHIELD. A solid film with solid bonus material! A welcome addition to the entire library of MCU films and makes me even more excited for Captain America: Civil War next May! 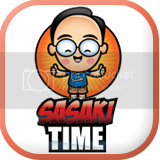 Sasaki Time at Dapper Day's Fall Soire 2015! 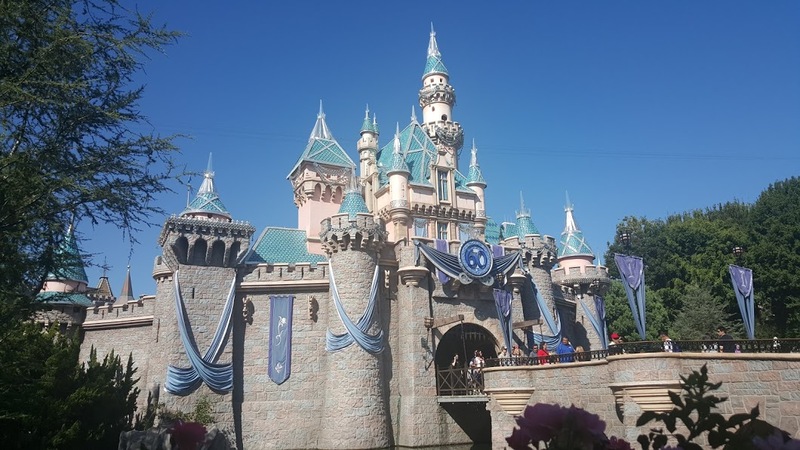 One of my favorite days of the year at The Disneyland Resort is back! 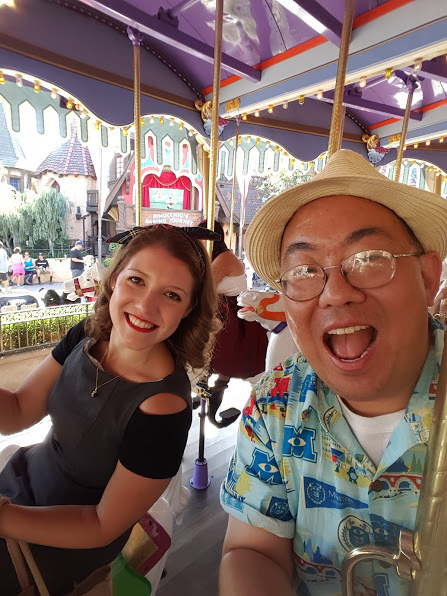 This time it is the Dapper Day Fall Soire! 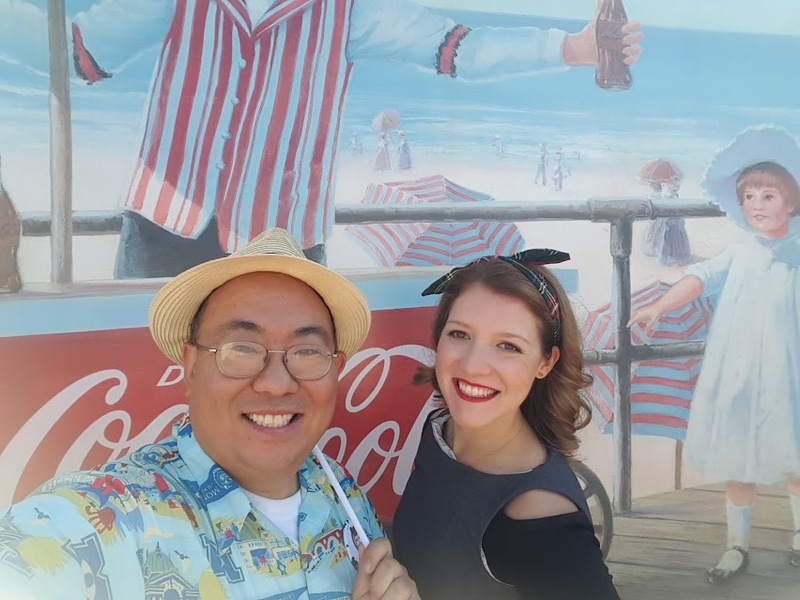 Always accompanied by my lovely friend Kristen, we choose to Disney Bound in 1950s attire to commemorate the 60th Anniversary of Disneyland! The smaller of the two Dapper Day's here but this year found a beautiful but hot day and a large crowd that Disneyland hot capacity and even had to close its gates in the evening! 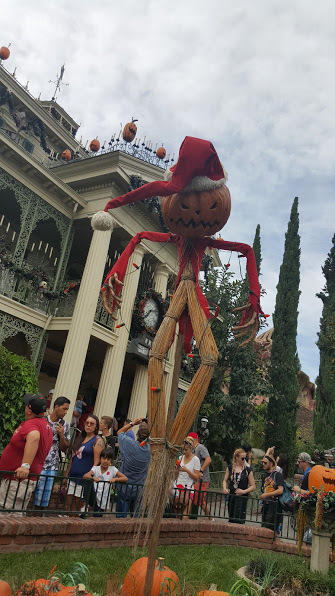 A little time with my friend Jack, the Pumpkin King! 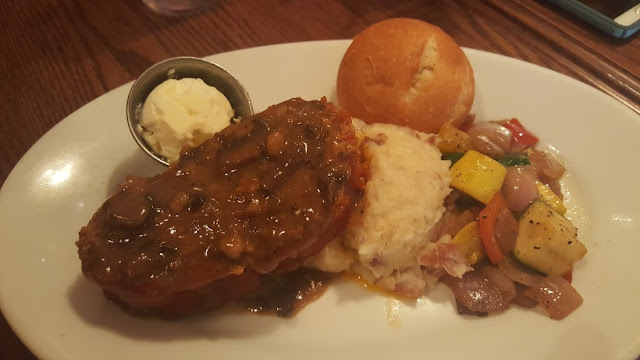 Lunch at our go to place, the Carnation Cafe on Main Street for their delicious meatloaf! ProTip: Make reservations well in advance! You will get seated faster and on hot or rainy days you will get seated inside! 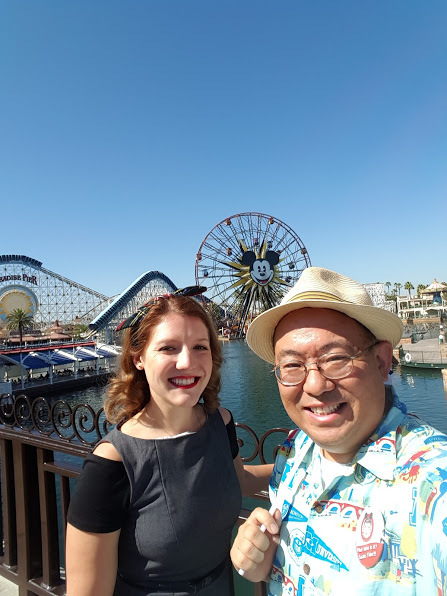 Then it was time to cross over into Disney California Adventure! The vintage posters in the Paradise Pier area are begging for us to take a photo in front of! 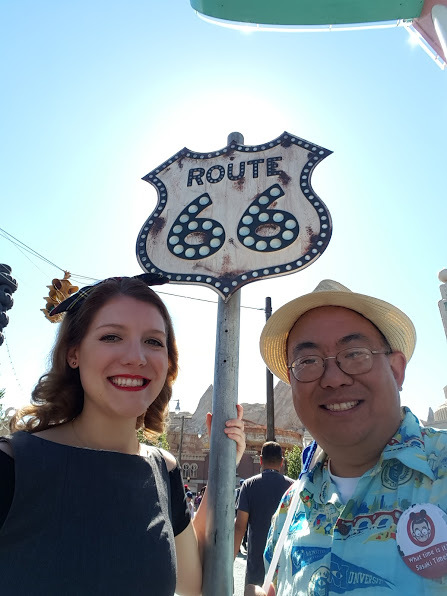 With our 1950s inspired attire, Cars Land is the perfect area to take photos in! 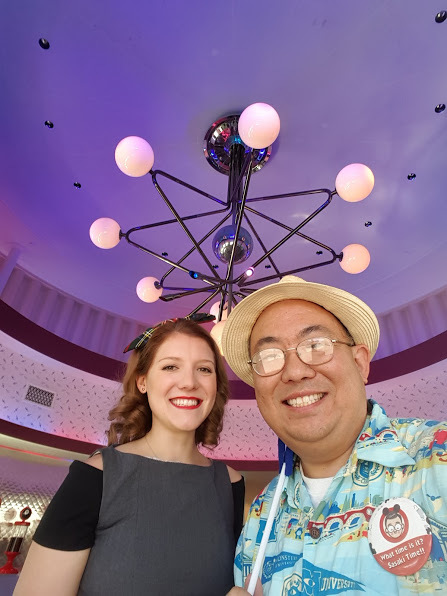 The lights in Flo's V8 Cafe remind me of a satellite and the dawn of the Space Race! We are getting our kicks on Route 66! 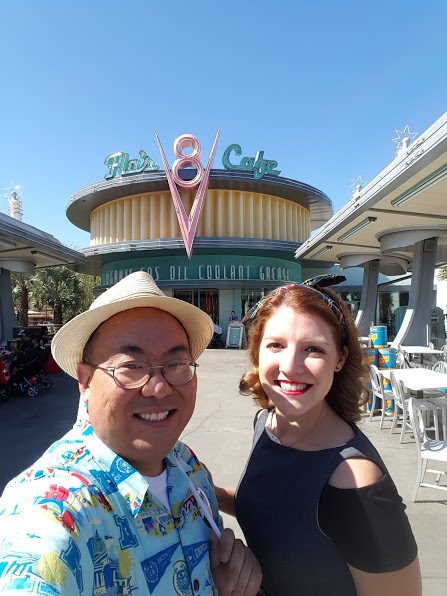 Flo's V8 Cafe and is another perfect place to take a photo! 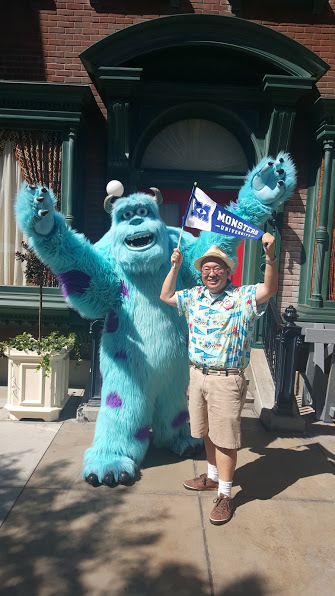 With my John Lasseter Monsters University Hawaiian shirt on, I had to take a photo with the Big guy, Sully that is! Sully loved my shirt and MU pennant! A perfect end to another wonderful day at The Disneyland Resort on Dapper Day! 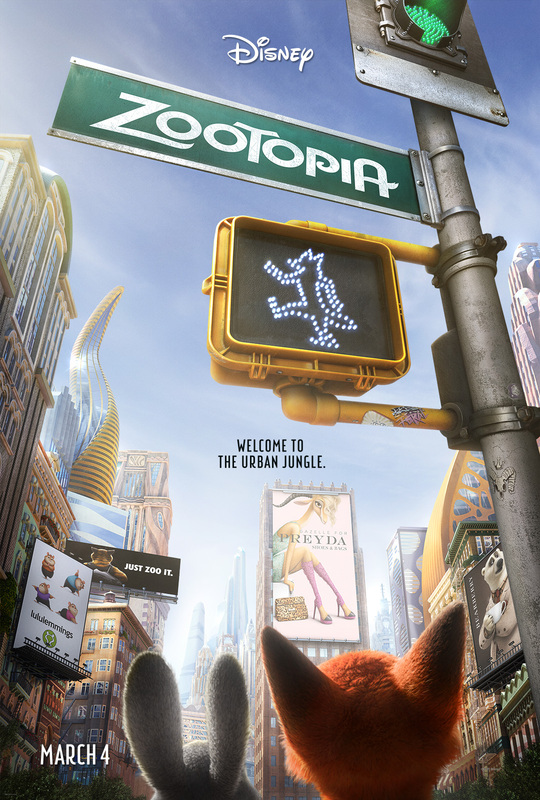 New Poster from Walt Disney Animation Studio's Zootopia! Today Facebook is excited to announce that they’re rolling out 360-degree videos in News Feed.There are a number of publishers sharing new 360 videos on Facebook today, including Star Wars, Discovery, GoPro, LeBron James & Uninterrupted, NBC's Saturday Night Live, and Vice. This means publishers can now upload 360 video to Facebook and starting today, people around the world will be able to discover and experience 360 videos in News Feed. 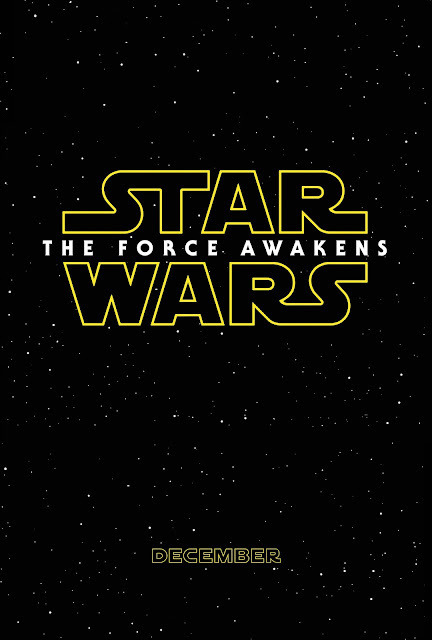 Disney and Lucasfilm are proud to debut an exclusive 360 experience from the upcoming movie Star Wars: The Force Awakens that brings fans inside the beloved universe. 'Indiana Jones' Bar opens at Disney Springs with Great References and even Better Food and Drinks! 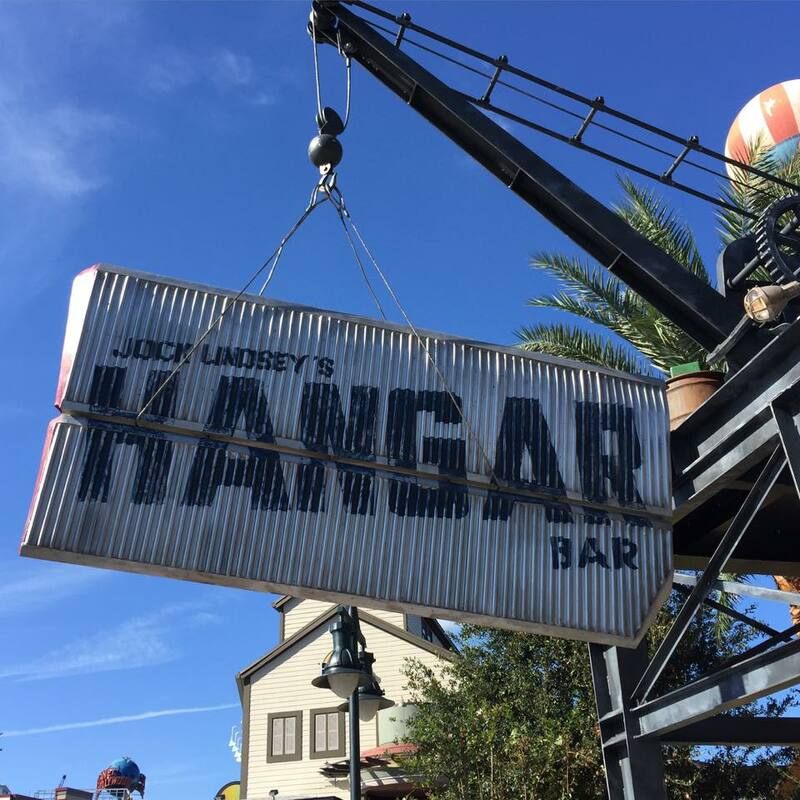 Today (9/22/15) was the opening day for Jock Lindsey's Hangar Bar in Disney Springs at Walt Disney World! 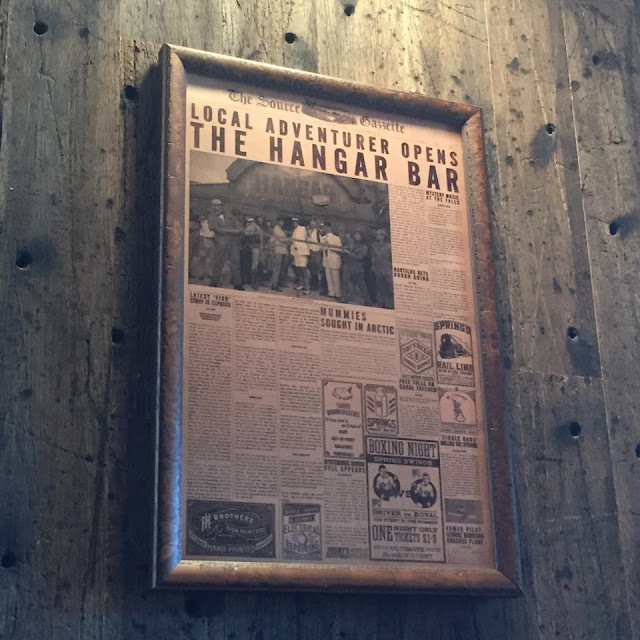 This Indiana Jones themed bar named after a small backstory character, it was Jock Lindsey who told Indy to "show a little backbone," as he flew the plane in Raiders of The Lost Ark. 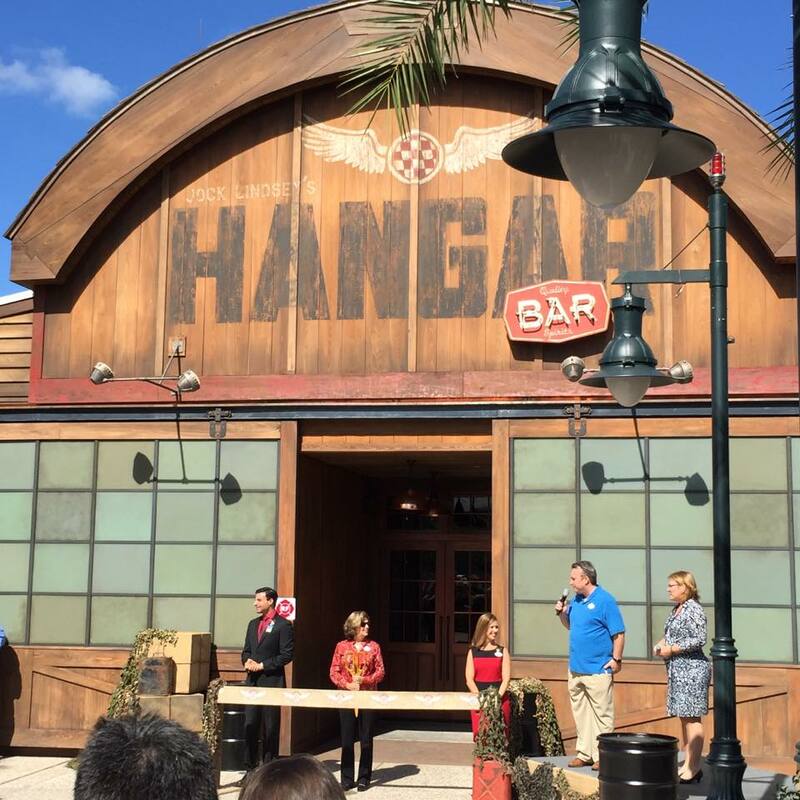 The bar is located between The Boathouse and Paradiso 37. Specializing in small bites and drinks, this will be one of the places you will want to stop at. Love the newspaper front page! So much to look at and to take in! Lots of great Indy references throughout the entire bar! 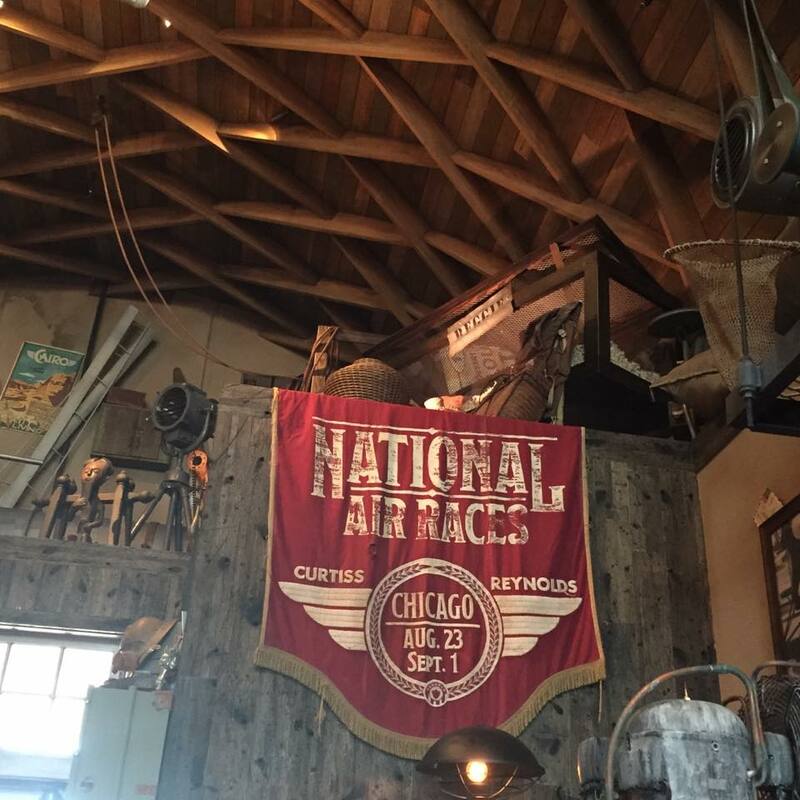 We learn more of Jock's backstory as he trained for air shows throughout the 1920s and 1930s. 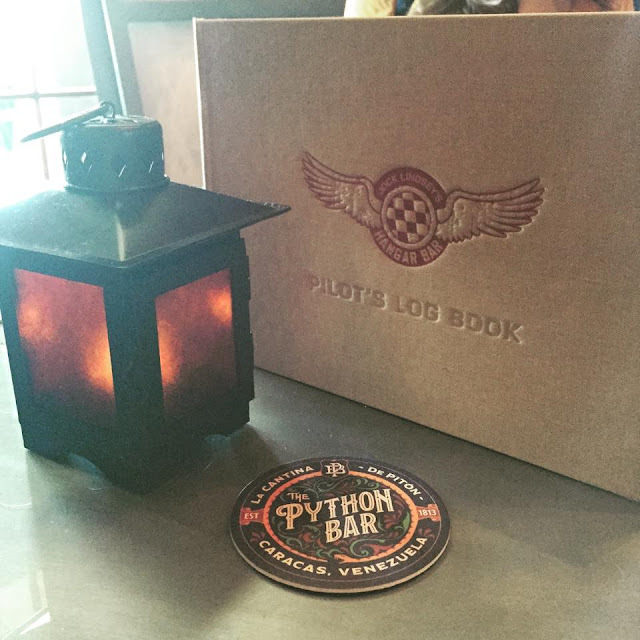 Time to take a look at the pilot's log book, otherwise known as the menu! So super nerdy alert but I love this detail! 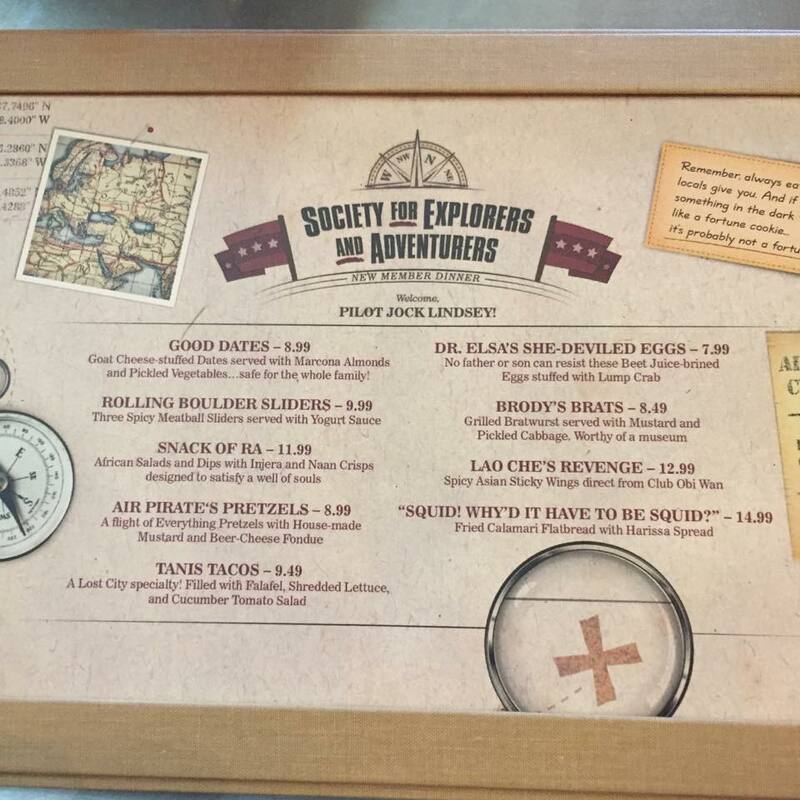 See the Society for Explorers and Adventurers? It spells out SEA! For those of you that already know then you are probably pretty stocked to see this too! In Tokyo, there is Tokyo DisneySEA. And yes, that is what the SEA stands for! In that park, Harrison Hightower, who owned the Hotel Hightower, home to the Tower of Terror. Hightower is a member of SEA! In Hong Kong Disneyland, Mystic Manor is owned by Lord Henry Mystic, who is also a member of SEA! And now we learn that Jock Lindsey is a member of SEA! 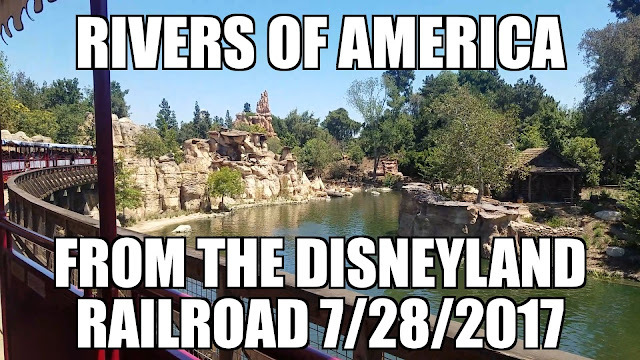 Now where is the Disneyland connection into SEA? Time will tell! 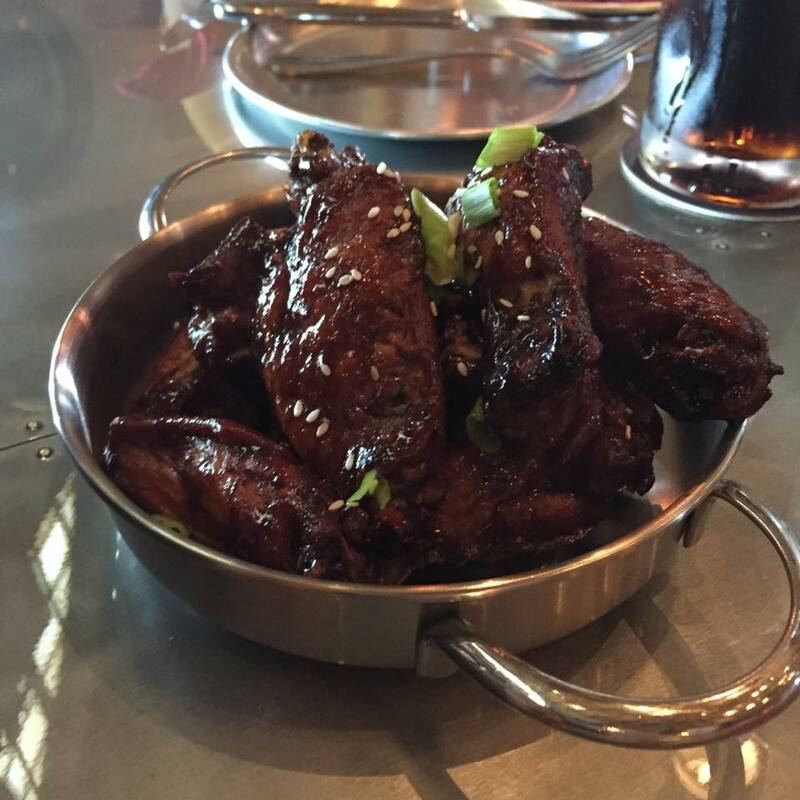 Lao Che's Revenge! Spicy Asian wings! Good dates! 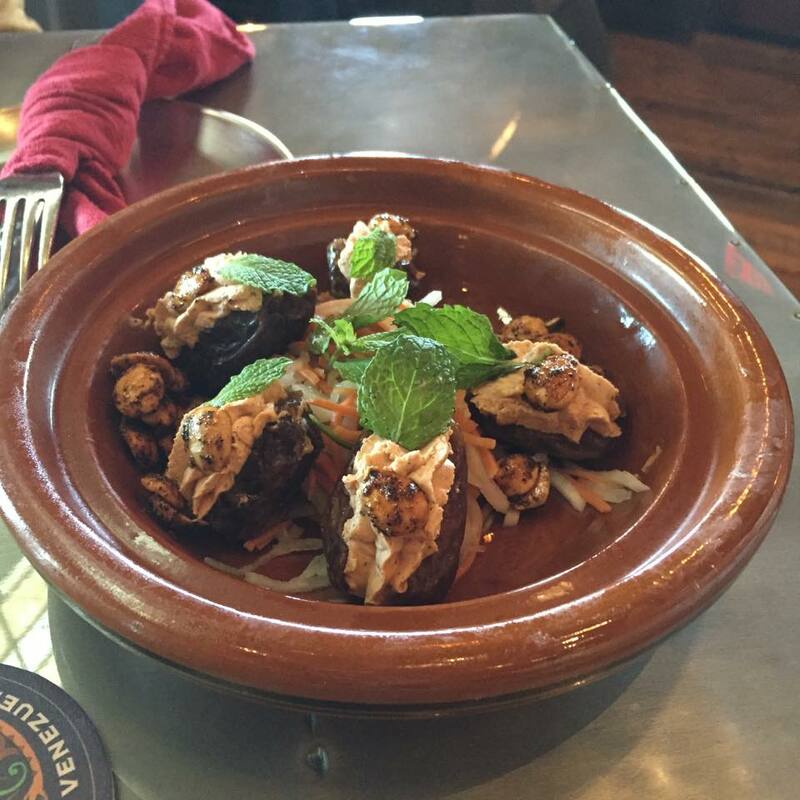 Goat cheese-stuffed dates with Marcona almonds and pickled vegetables! 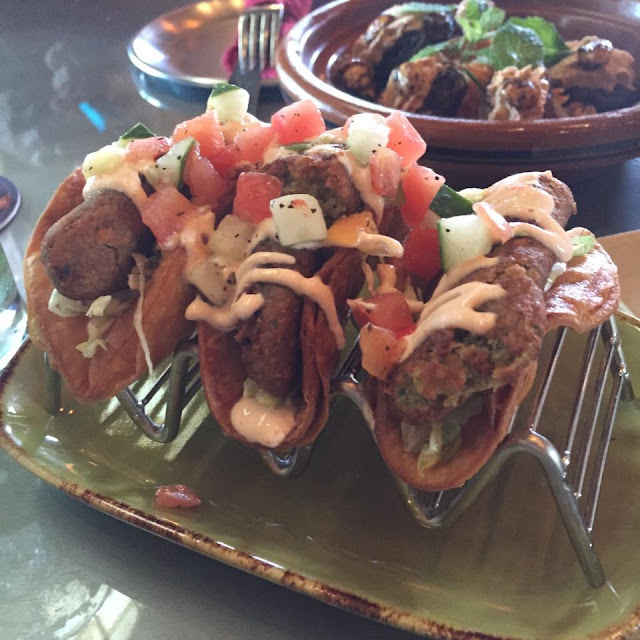 Tanis Tacos! Filled with Falafel, shredded lettuce and cucumber tomato salad! Squid? Why did it have to be squid? 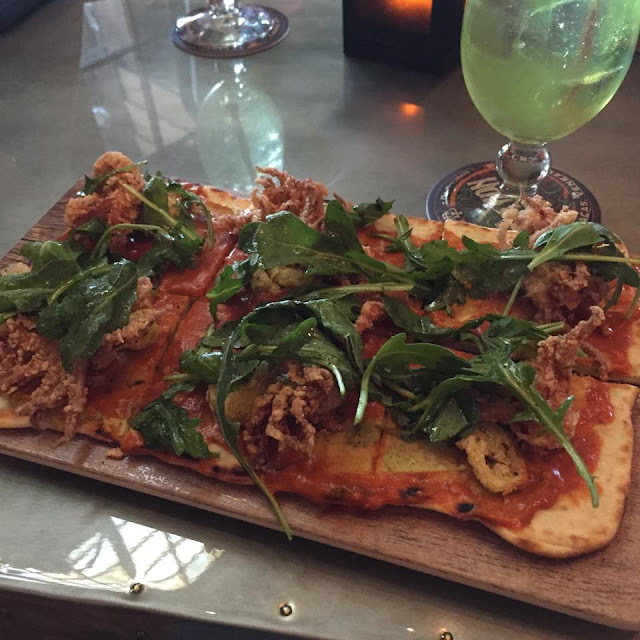 Calamari flatbread with harissa spread! Rolling Boulder Sliders! 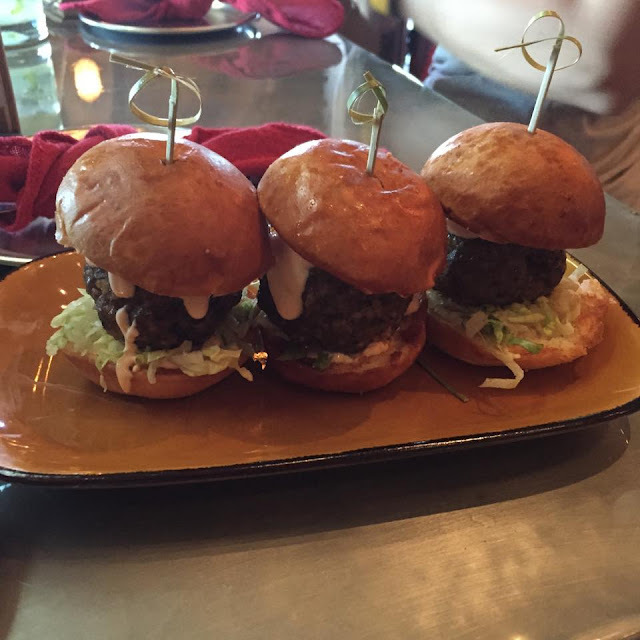 Three spicy meatball sliders served with yogurt sauce! 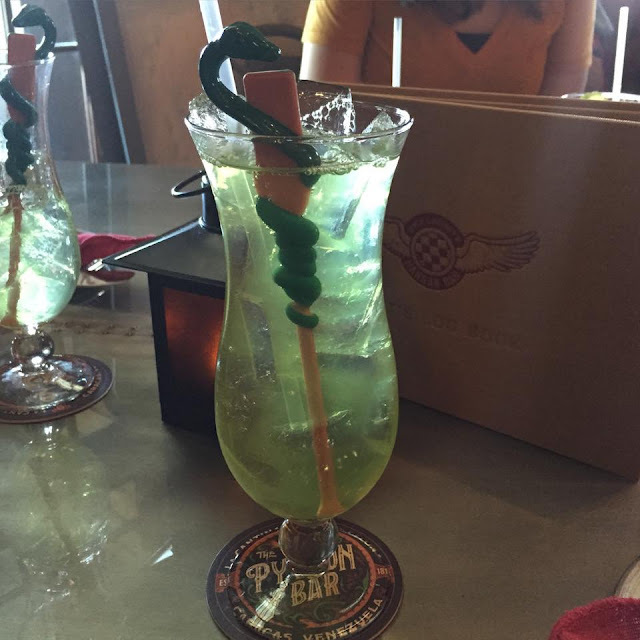 A Willie Scott drink? Sign me up! Even though I had a Willie Scott drink at a different Indy event! 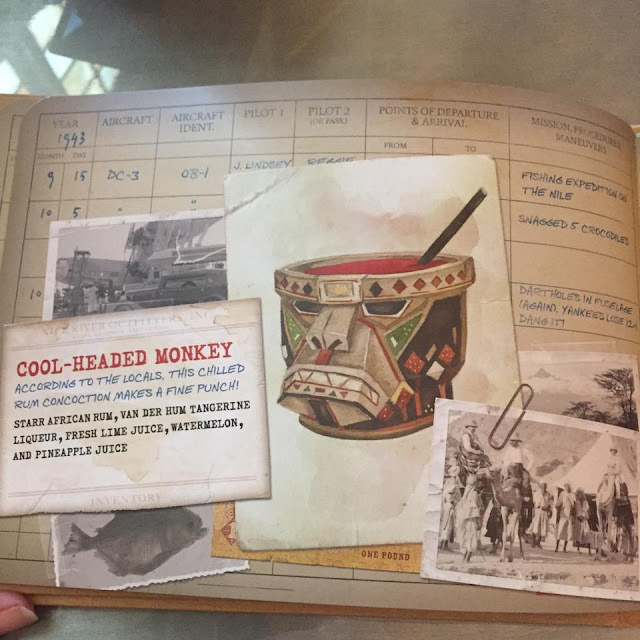 Take a look at this awesome monkey mug! I must have one! Reggie's Revenge! Florida Cane 'Orlando Orange' Vodka, Midori Melon Liqueur, white cranberry juice and fresh lime juice! On the left is the Diving Bell made of Simply Lemonade and watermelon topped with a lemon-lime foam. 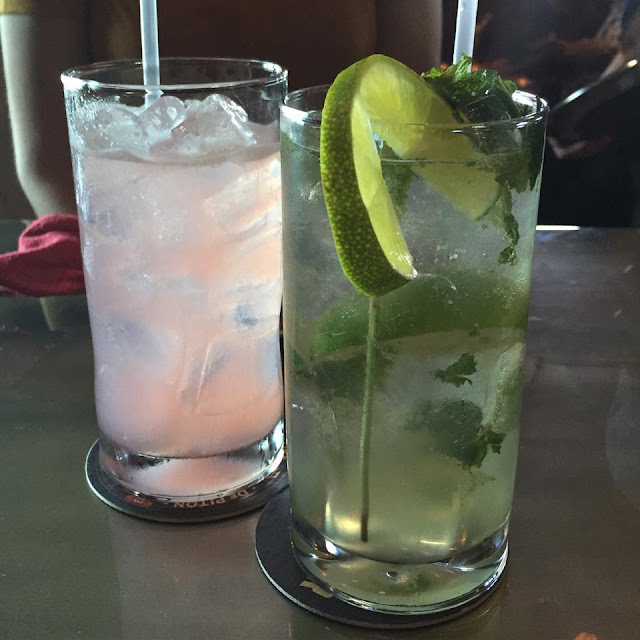 On the right is the Poisonless Dart made of soda water with mint, simple syrup and fresh lime juice. Just send the entire Reggie's Revenge over to my table please! 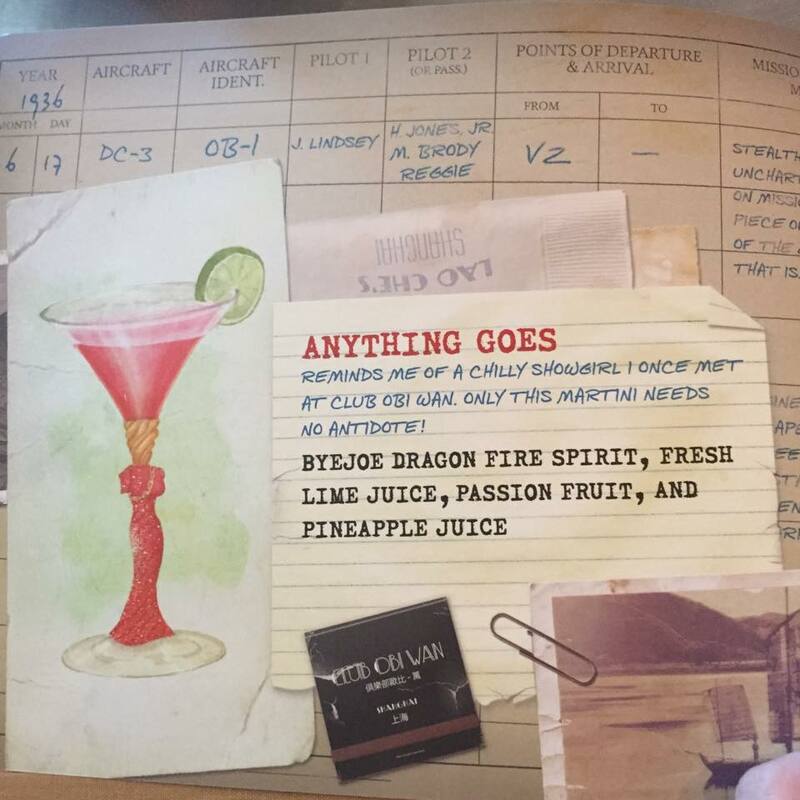 One last thing to take a look at is this coaster! I love the Disneyland reference! Once again thank you to Krystle for the use of her photos! 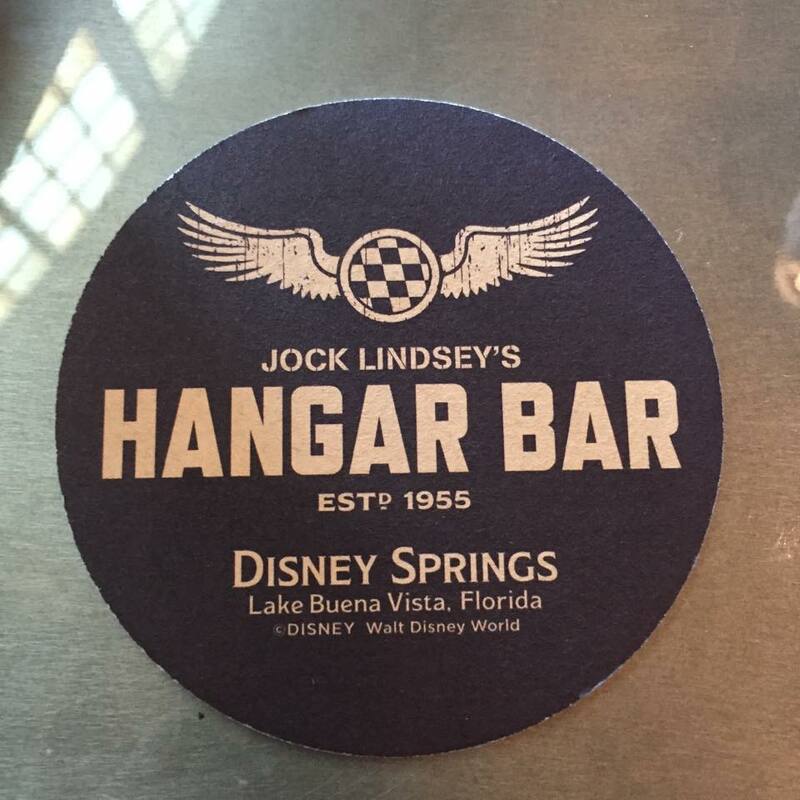 I cannot wait to get back to WDW and check Jock Lindsey's Hangar Bar out! 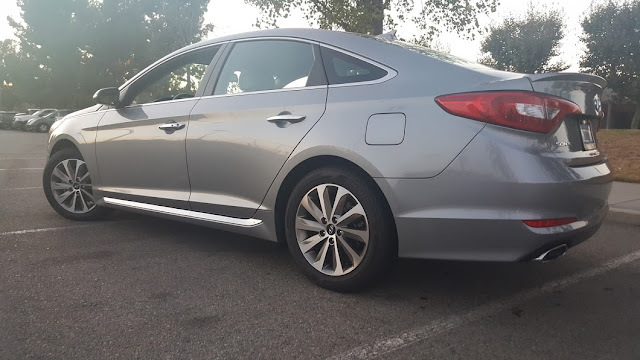 Sasaki Time Review of the 2015 Hyundai Sonata Sport PZEV and a Visit to Cars Land! 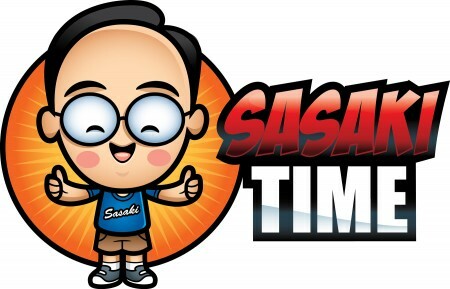 Sasaki Time here and it's already time for another vehicle review! This time it is the 2015 Hyundai Sonata Sport! This is the same vehicle I drove off the assembly line at the Hyundai plant in Montgomery, Alabama last year! I can't wait to drive it for a week and see if I love it just as much as I did in Alabama! 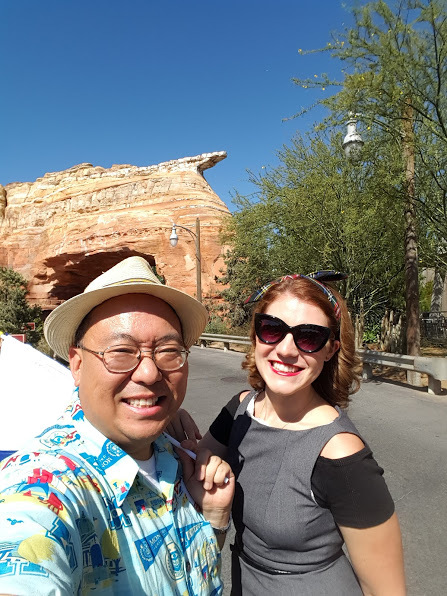 This time I took the car to my favorite place on earth, The Disneyland Resort to showcase one of my favorite things, food and Cars Land! So much room in a well thought out cockpit! 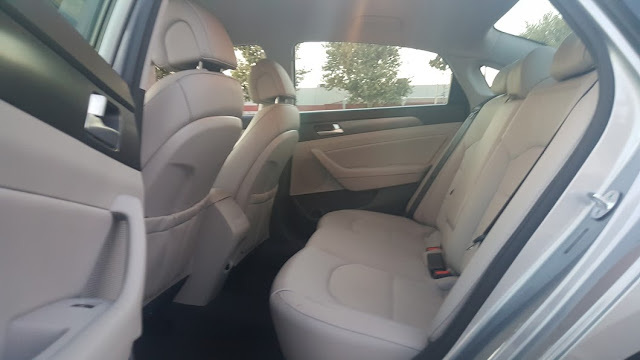 Plenty of leg room for your friends! 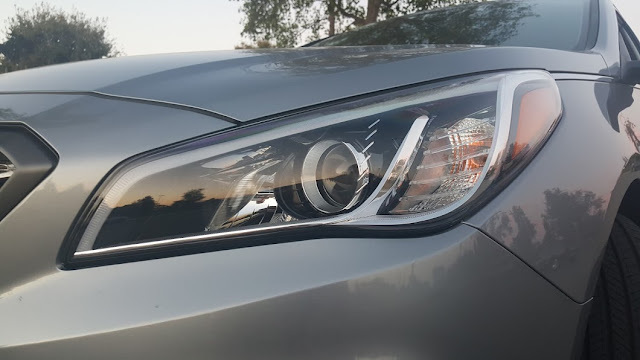 Super bright projector headlights to see the road in any type of weather! The Sonata also comes well equipped with a ton of great safety features. There is a rearview camera, airbags, available Blind Spot Detection, Rear Cross Traffic Alert, and a Lane Departure Warning System. All of these safety features will keep you and your loved ones safe. 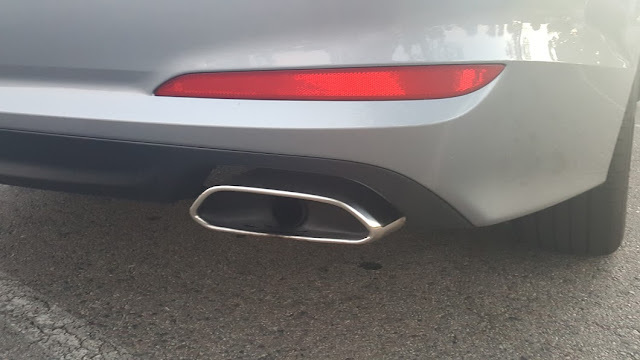 Love the chrome tip exhaust! Stylish and aggressive! The 2.4L 4-cylinder engine gets 185 horsepower. It gets 24 MPG in the city, 35 on the highway and 28 combined. 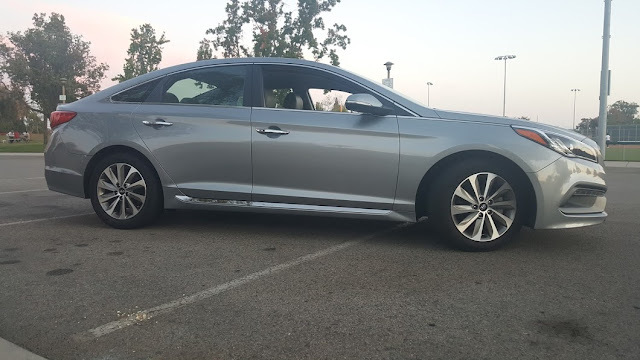 The sleek lines of the Sonata! Maybe Pixar should out this vehicle as a new character in Cars 3! Time to head to Disneyland! The ride is smooth and solid. Acceleration is smooth and I had no issues trying to pick up speed through traffic or over the inclines. Braking is fantastic. Cornering is solid and is limited to tire grip. 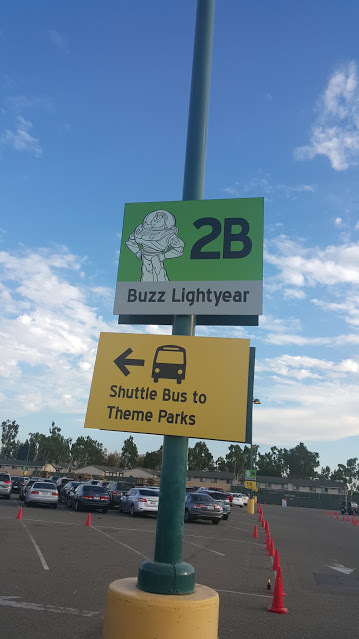 Protip: Take a picture of the closest parking sign to help you remember where you parked after a very long day at The Disneyland Resort! 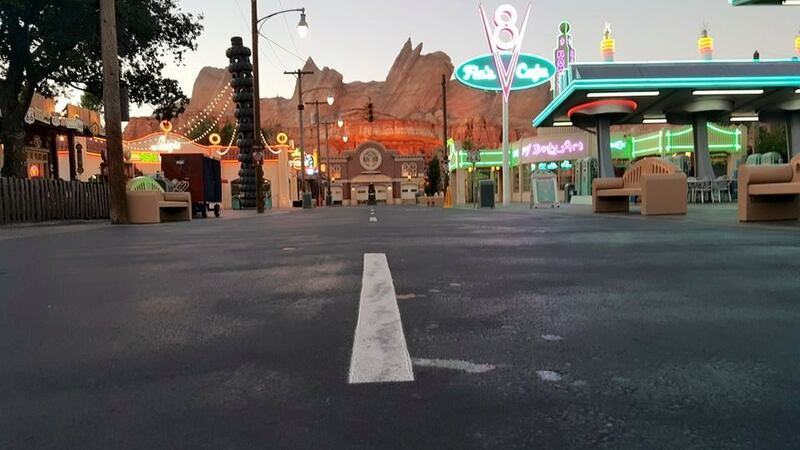 This is what it looks like to be the first person in Cars Land in the morning! The signature E-ticket attraction is Radiator Springs Racers! This is a very popular attraction and fastpasses typically book out every single day! My advice is to get there early and get on the attraction and then get a fastpass for it! There is also a single rider option as well! 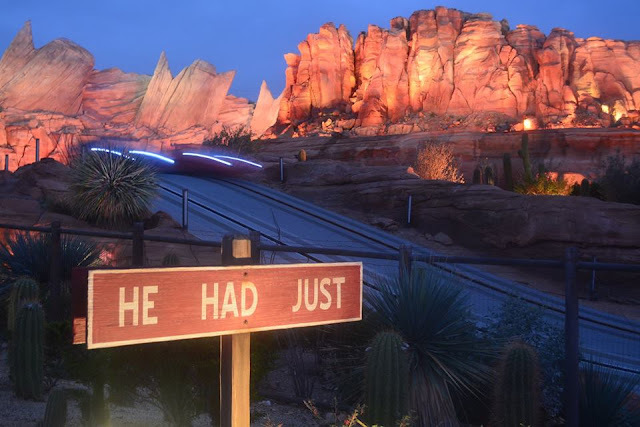 Two cars racing one another on Radiator Springs Racers at night! 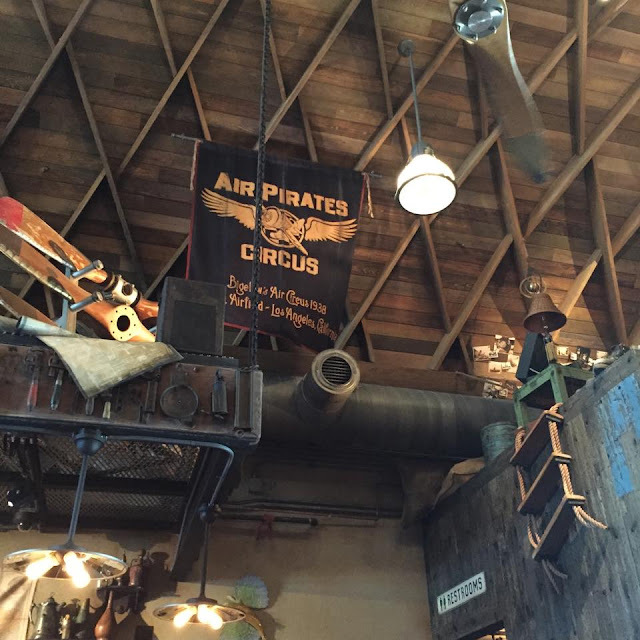 One of my favorite places to grab a bite to eat! Plus, I love all the neon on the building! Best place for a snack! Each of the Cones offer a different cone food! Try the pulled pork cone or the bacon mac n cheese cone! I love all the neon in Cars Land! 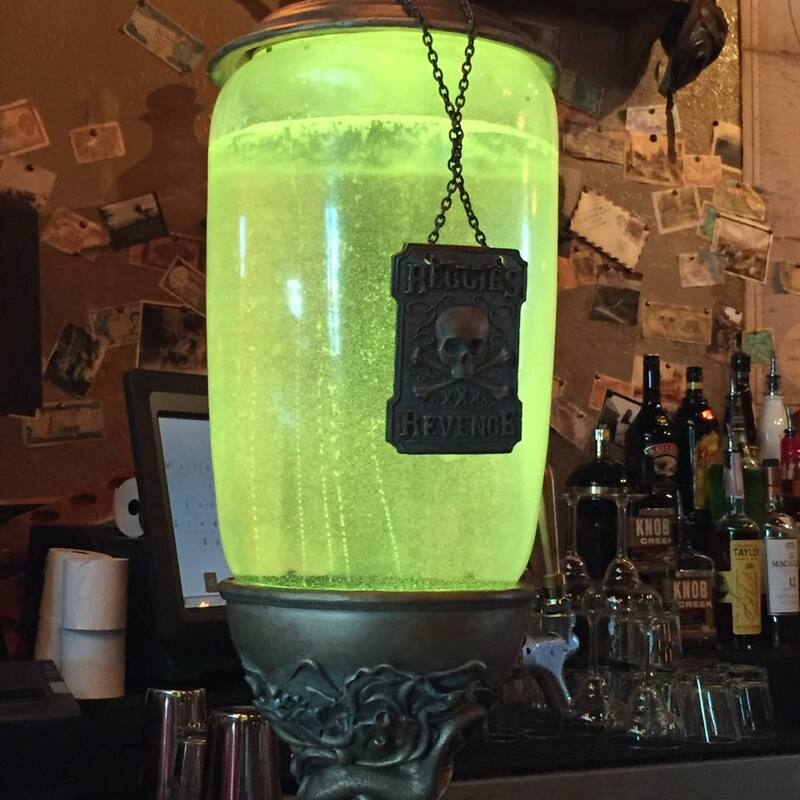 Here is the view of the neon on the other side of the street. 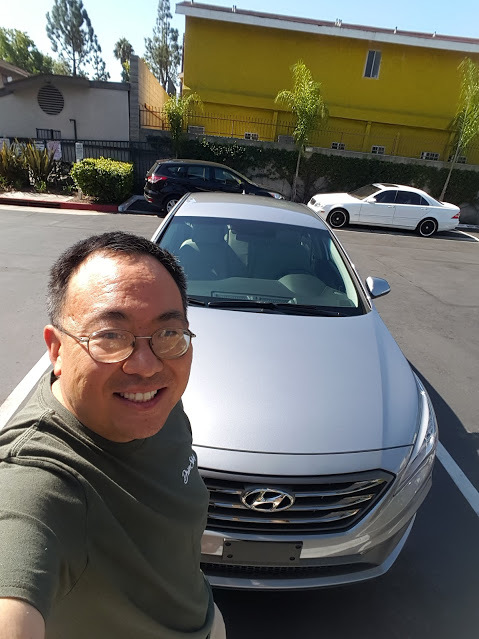 After the thrill of one of the best attractions in any Disney Theme Park, it was time to head back into the 2015 Hyundai Sonata Sport and get ready for the drive home! 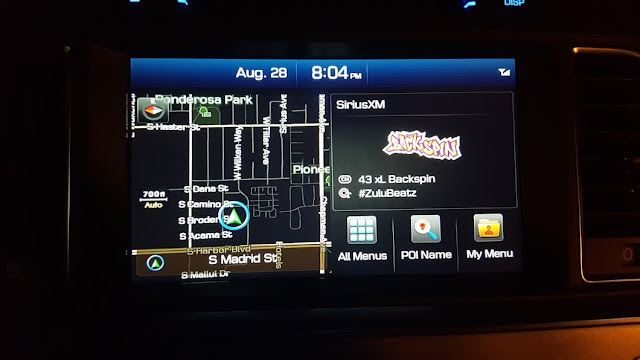 Taking a picture of where we parked makes it easier to find the car at the end of the night! Turned the air on blast as it was still hot outside and off we go! 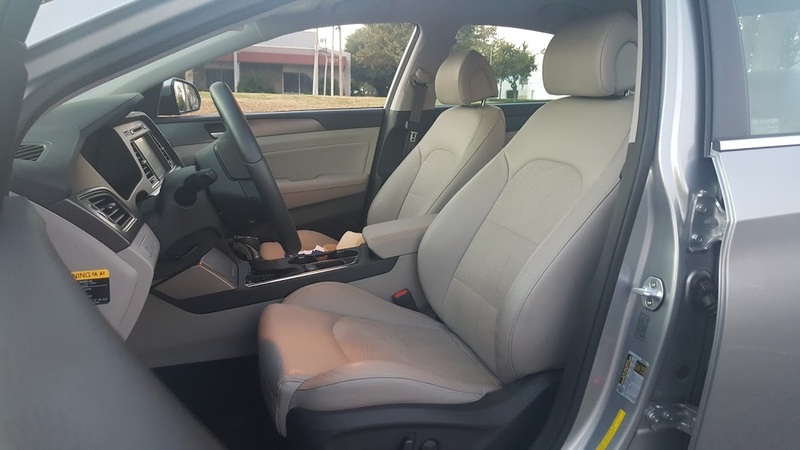 The air is powerful and cooled down the car interior in minutes! 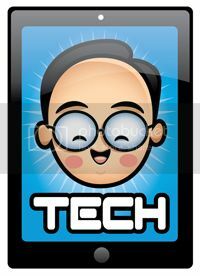 The large 8-inch touchscreen is bright and easy to use! The 2015 Sonata Sport PZEV is a fun car to drive! Great handling and gas mileage make this a great vehicle for everyone! 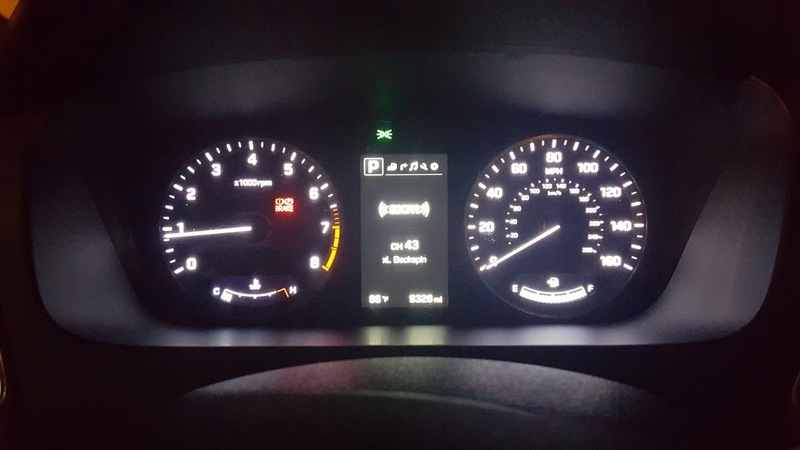 The 2015 Sonata Sport PZEV comes in at $27, 560.00 as tested!